Outstanding Everyday Support and Comfort: Ariat's entry-level technology, Four Layer Rebound (4LR™), cushions and stabilizes the foot for all-day comfort and performance. Stability and Comfort from Ariat's Innovative Mid-Level Technology: Ariat's exclusive Advanced Torque Stability (ATS®) Technology supports and cushions the foot as you move, promoting good posture and reducing fatigue so that you can work or play all day. Moisture-wicking footbed provides cool, dry comfort. Durable Support for Tough Tasks and Long Hours: Ariat's ATS Max® technology is equipped with additional elements to provide extra shock absorption and stability. Extra-wide shank has forefoot and heel stabilizers for superior support and reduction of fatigue. 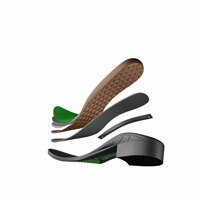 Oil- and slip-resisting Duratread™ outsoles provide maximum wear resistance and ergonomic flexibility. Advanced stability with superior comfort: Ariat’s innovative ATS Pro® mid-level technology with upgraded comfort delivers heightened performance for reliability in and out of the saddle. Moisture-wicking layer delivers comfort and durability with Agion® technology for intense odour defence. Full length, anatomically-engineered polyurethane footbed offers superior, long-lasting support. 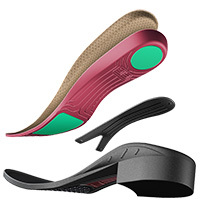 Smart Rebound™ dissipates pressure in the forefoot and cushions the heel. Base layer air vents regulate temperature to keep feet cool and comfortable. Lightweight, composite, forked shank creates superior stability. Duratread™ outsole for maximuml wear resistance. Designed Specifically to Meet the Rigorous, Daily Demands of the Professional Horseman: Ariat's Cobalt™ Technology combines a SKYDEX™ Smarter Cushioning heel system, our exclusive Cobalt™ footbed, a composite fiber forked shank, and a Duratread™ outsole to provide exceptional comfort, support and durability. Gel-molded heel spring cushions heel for instant comfort and reduces skeletal impact stress on knees, hips and lower back. EVA strike pad provides stability and extra cushioning for all-day comfort. Precision-molded fork-shaped shank maintains balance and proper body alignment, reducing skeletal and muscular fatigue and injury. 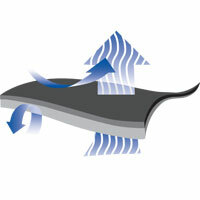 Skydex™ Smarter Cushioning shock dispersing barrier absorbs heel impact stress and aids in energy return. 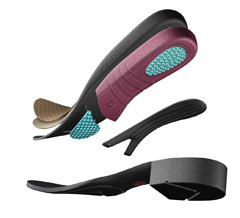 Anatomically-designed ergonomic outsoles flex and resist wear. Dynamically Integrated from Heel to Toe: Ariat's premium multi-system technology integrates a variety of components to provide the ultimate in breathable comfort, support, rebound, cushioning, stability, and ergonomic performance. Breathable, temperature-managing footbed for high-performance comfort. 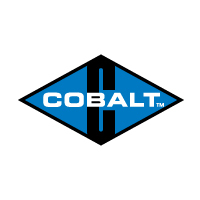 Lightweight open-cell polyurethane (PU) footbed with heel pad provides shock absorption, rebound, and energy return. 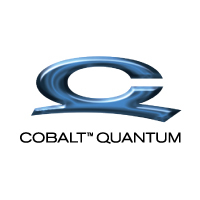 CST (integrated Core Stability Technology) delivers flexible, full-foot support and stability. Honeycomb polymer shank and molded orthotic arch provide torsional support. 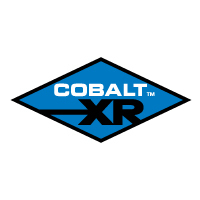 Unparalleled fit and comfort: Ariat’s premium Cobalt™ VX technology provides temperature management, advanced support and enhanced flexibility with an engineered fit for optimal performance. 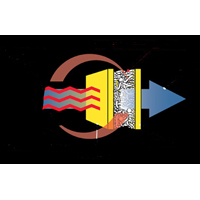 Temperature-managing X-STATIC® layer for odour protection. 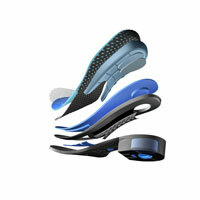 Cushioned forefoot pad protects small bones and nerves. Tread pattern offers excellent traction on the ground and in the stirrup. 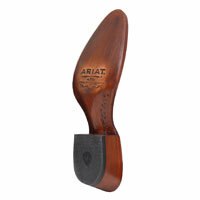 Heel cradle supports arch and heel for greater stability. Cushioned midsole for superior shock absorption and comfort. Honeycomb shank stabilises the foot, providing superior balance. Non-marking Duratread™ outsole provides maximum wear resistance. Extended Range Sequential Technology: Ariat's performance technology utilizes a variety of components to provide dynamic cushioning, stability, and flex to reduce stress and increase efficiency with each step. 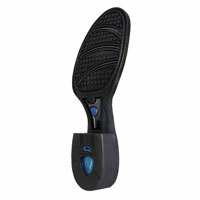 Low-friction footbed regulates temperature and wicks away moisture to keep feet cool and dry. 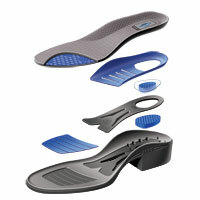 Orthotic arch and heel support with gel-cushioned footbed delivers superior shock absorption. Propulsion Grid in heel delivers rebound and energy return. 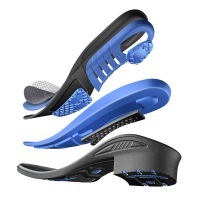 Innovative forefoot stability plate provides extended support and stability. Precision-molded composite forked shank supports balance. Ariat's premium Spider Tek Pro™ technology is engineered to react to force and movement while providing ultimate, anatomical support for unparalleled performance on the ground and in the saddle. Cushioned EVA midsole provides superior shock absorption and comfort. 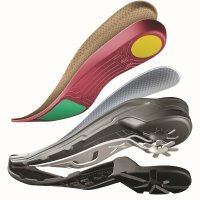 Multi-functional chassis engineered for active rebound upon heel strike, support through mid-foot, and flexible forefoot protection. 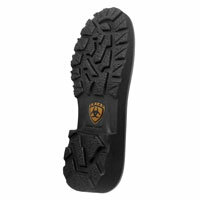 Rugged, slip-resisting Duratread™ outsole offers maximum wear resistance. Strong, Light, Safe: Composite toes deliver lighter-weight performance than steel toes without sacrificing impact protection. Composite material does not conduct cold so feet stay more comfortable in winter conditions. Non-metallic materials provide safety in electronic security working conditions. 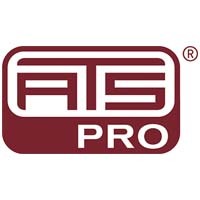 Meet the highest rated standards for compression and impact (certified ASTM F2413-05 M/1/75 C/75 EH). Durable, Flexible, and Slip Resistant: Ariat's non-marking TPU outsole resists wear while providing flexible comfort, excellent traction, and oil and heat resistance. 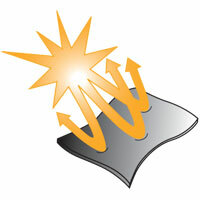 Thermoplastic polyurethane delivers superior traction and is slip, heat, and oil resisting. Provides exceptional cushioning, rebound, and flexibility for maximum comfort. Groundbreaking Fusion Outsole: Ariat's innovative hybrid fortifies a leather outsole with injected rubber inserted at key zones for enhanced durability, grip, and comfort. Classic look of leather with superior wear-resistance, comfort and flexibility. 11-iron Veg-Tan leather outsole delivers a traditional profile. Direct-injected TPU forefoot pods in key wear zones for durability. 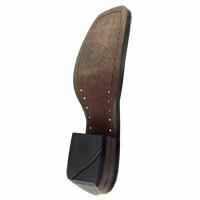 Duratread™ heel taps add traction and extended durability. Wear Resistance, Comfort, and Streamlined Performance: Delivers the comfort of crepe with the outstanding durability of rubber in key wear areas, and is 30% slimmer than traditional crepe outsoles. 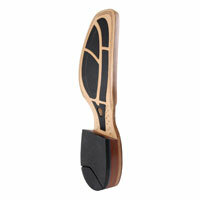 Streamlined profile is 30% slimmer than traditional crepe outsoles. 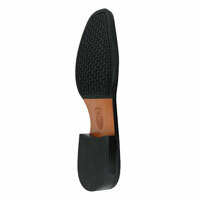 Delivers Pro Crepe's® durable light-weight comfort and rebound. Lasting Performance, Protection, and Flexibility: Ariat's exclusive Duratread™ rubber compound combines maximum wear-resistance with comfort and flexibility. Exclusive rubber compound outlasts traditional rubber. Extremely flexible for ergonomic performance. Highly resistant to barnyard acids, oils, and slips. Maximum Cushion, Maximum Wear: The Everlon™ outsole combines the superior cushioning of EVA with wear-resistant properties of blown rubber. Compression is minimized for superior cushioning that lasts. The Performance Hybrid: Ariat's Evolution™ outsole looks and performs like leather, but is created from a specially formulated rubber to flex and resist wear and barnyard acids. Leather-like finish for a traditional look and feel. Rubber's durability and flexibility for long-wearing performance. Traditional, Reliable Performance: Ariat uses the highest quality genuine handcrafted leather to provide stirrup-friendly performance with a classic look. Hand-nailed 11-iron or 9-iron weight for lasting durability with a traditional look. Can be resoled for years of wear. 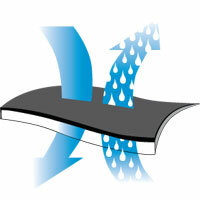 Duratread™ heel tap resists slips and adds extended durability. Performance Outsole for A-Circuit Riders: The Monaco outsole's premium leather has Duratread™ rubber overlays for secure performance and increased durability. Natural leather outsole proivdes a classic look with exceptional responsiveness. Duratread™ forefoot and heel taps add traction and extended durability. Special tread design increases traction where it's needed. Crepe Comfort with Added Durability: Ariat's exclusive Pro Crepe® outsole is a rubber blend that provides lightweight cushioning that lasts, and the best wear resistance you'll find in a Western crepe outsole. Durable compound delivers the best wear resistance available in a Western crepe outsole. Light-weight, long-lasting cushioning delivers superior all-day comfort. Streamlined Comfort and Durability: Delivers the performance of Pro Crepe® with a profile that is 30% slimmer than traditional crepe outsoles. The proven safety of steel in a toe that allows for optimum fit and maximum comfort. Allows for optimal fit and volume with certain toe shapes. 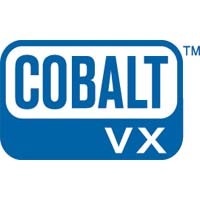 Meets the highest rated standards for compression and impact (certified ASTM F2413-05 M I/75 C/75 EH). Authentic Leather with Extended Durability: Ariat's authentic, handcrafted 11-iron leather outsole is Butyl treated for increased durability and flexibility regardless of the weather conditions. Stirrup-friendly, hand-nailed 11-iron weight construction resists wear and can be resoled. More durable and flexible than traditional leather outsoles. 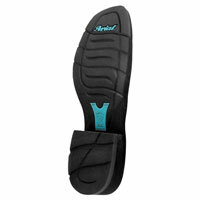 Light-Weight Molded Compound: Ariat's TPR outsoles combine flexibility and durability with light-weight performance. 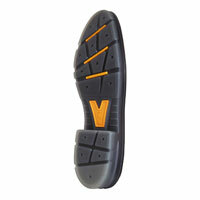 Thermoplastic rubber is molded into a light-weight, flexible outsole. Provides cushioning, flexibility, and rebound. Delivers exceptional resistance to wear. A True Innovation in Fit: The patent-pending U-Turn Entry System's™ flexible gore panel in the back of the shaft allows boots to be pulled on and off easily - no matter the shape of the foot - without sacrificing fit. Protection from the Elements: Ariat's Waterproof Pro™ offers top-of-line protection from rain, snow, and wet conditions. Boot construction utilizes waterproof premium leathers for superior exterior protection. 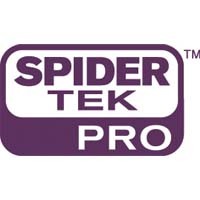 Durable, impermeable waterproof/breathable barrier is built-in for long-lasting protection. 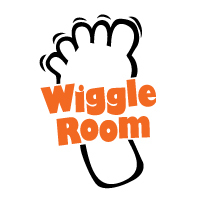 Because Kids' Feet Grow: Kids outgrow their boots, but Ariat's Wiggle Room™ technology utilizes the removable Booster Bed™ footbed to adjust the boot's internal volume to fit growing feet. Available in all Ariat® kids' boots. 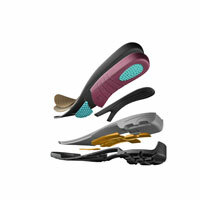 Allows boots to adjust to fit growing feet. Ariat's Grip Strip™ is an innovative way to keep buckles centered and discourage belts from shifting. Secures belt in place to prevent shifting and riding up - even during competition. Warm, Soft, and Compressible: Ariat® down insulation utilizes duck down to provide durable, compressible, lofty insulation. Duck down delivers great warmth for its weight. Microdenier polyester shell's downproof construction prevents loss of prevention. Warm, Soft, and Compressible: Ariat® down insulation utilizes high-fill power premium goose down to provide durable, compressible, lofty insulation. 550 fill-power premium goose down delivers exceptional warmth for its weight. Microdenier polyester shell's downproof construction prevents loss of insulation. The independent Bluesign® standard is the response to increasing demands for textile products that are environmentally friendly, pose no health hazards, and conserve resources. Ariat's tummy-trimming Core Control Technology™ is made with targeted support for core muscles. The Calf Fit System™: CFS™ accommodates any leg shape and secures without bulky closures to provide an exceptionally smooth, irritation-free fit under tall boots. Perfect fit without bulky seams or closures eliminates pain and irritation under tall boots. 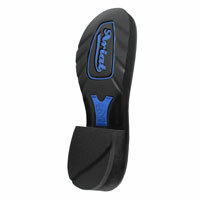 Snug fit protects and supports lower leg. 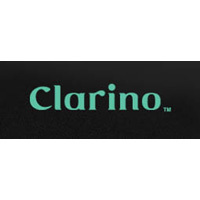 High-Performance Synthetic with the Feel of Leather: Durable and comfortable, Clarino™ has leather's performance but is light, breathable, and always soft - even when it's cold and wet. Highly breathable performance is perfect for active riders. Lightweight, soft, and flexible for comfort in the saddle. Temperature Control for Active Riders: CoolMax® Performance Fabric combines wicking properties with air circulation to provide cool, dry comfort in warm, active situations. 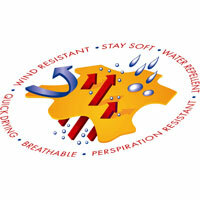 Wicks moisture from your skin to an evaporative layer for dry comfort as air circulates for temperature control. Great under hunt coats or during warm weather rides. Completely waterproof Gore-Tex® membrane shields from the elements. 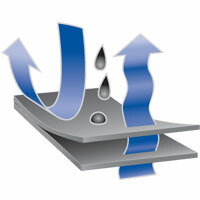 Microporous membrane allows vapor to escape without letting moisture in. Full Range of Motion: Ariat's Western sleeve technology creates a system that allows for freedom of movement without worrying about sleeves riding up or shirt tails coming untucked. Extended inseam construction delivers improved range of motion. 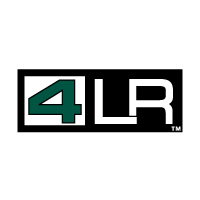 Provides improved performance for ranchers and rodeo competitors alike. 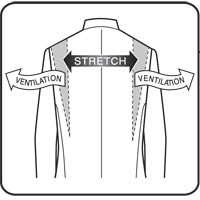 An HRC or Hazard Risk Category is a rating for FR clothing that indicates the level of protection the garment provides. Moisture Management for Active Riders: Ariat's Moisture Movement Technology™ (MMT™) pulls moisture away from the skin and transports it to the fabric's outer face for quick evaporation. Wicking properties combine with an evaporative layer for effective moisture movement. Provides dry comfort for active riders and warm conditions. Nanosphere is a registered trademark of Schoeller Technologies AG, Switzerland (patent protected technology). All rights reserved. The National Fire Protection Agency's (NFPA) 70E is a Standard for Electircal Safety Requirements for Employee Workplaces. For oil & petrochemical industries, this standard mandates that employees wear flame-resistant clothing if the potential for flash fire exists. World Class Leather that Protects: Pittards® leather is world renowned for its supple durability. The WR 100X finish takes it up a notch by adding water repellency and wind resistance. Superior leathers are soft and supple for a responsive feel. WR 100X finish resists water, perspiration, and wind for all-weather riding. 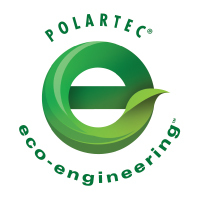 This logo indicates that a Polartec® fabric reduces the burden on landfills and natural resources by utilizing a minimum of 50% recycled content. High Performance Insulation: Thermal Pro® is a Polartec's® most technically advanced fleece combining warmth, breathability, and comfort. 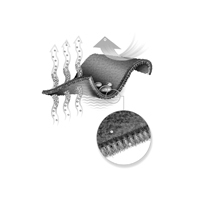 Lofted fibers trap air to effectively retain body heat. Soft synthetic material dries quickly and insulates even when wet. Performance Insulation: Primaloft® uses unique fibers and technologies to create high-performance synthetic insulation that is light-weight, effective, water-resistant, and durable. Light-weight and streamlined to insulate effectively without awkward bulk. 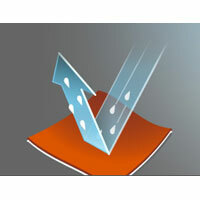 Quick-drying hydrophobic fibers work even when wet. Temperature Management and UV Protection: Used on the Monaco Coat to provide optimal comfort in show conditions, coldblack® is a unique finish that helps dark-colored garments stay cooler, even in warm sunshine by reflecting up to 80% of rays. Reduces heat build up on dark colored fabrics to help keep temperatures cool. Provides significant UV protection - minimum UPF 30. Performance Fabric for Active Riders: The double-fabric softshell provides exceptional stretch, drape, durability, weather repellency, and moisture transport making it perfect for athletic riders. 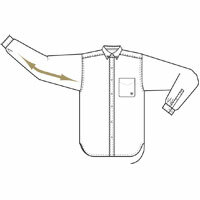 Inside fibers wick moisture and highly-breathable outer fabrics provide wind and water repellency. Stretches for freedom of movement. 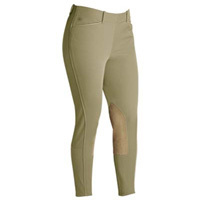 Utilized in Ariat® Pro Circuit breeches. 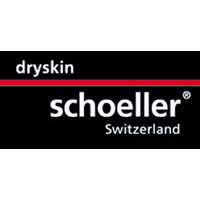 Designed for equestrians, Schoeller® bonds a breathable stretch fabric to comfortable cotton twill creating a material that is durable, weather resistant, and retains its fit and shape even after long rides. Provides exceptional freedom of movement, breathability, and stretch. Delivers top-level durability for riding. 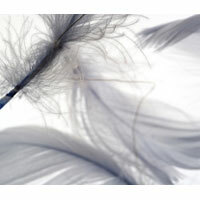 Bluesign® certified to be environmentally friendly, pose no health hazards, and conserve resources. Versatile Performance for A Variety of Conditions: Ariat's performance softshell is a fabric technology that bonds a stretch-nylon shell to a microfleece backing. The result is a durable, weather repellant fabric with exceptional breathability and freedom. Breathable stretch-nylon face resists weather and allows for excellent freedom of movement. Microfleece backing wicks moisture, adds insulation, and provides stretch performance. Equipped with sun protection to protect from harmful ultraviolet rays. Blocks the sun's harmful UV rays. Withstands multiple washings for enduring protection. Warmth Without Bulk: Ariat's quilted polyfill insulation provides exceptional warmth with a streamlined profile making it a great mid-or-outer layer. Polyfill insulation resists water and works even when wet. Warmth Without Bulk: 3M's™ performance synthetic insulation utilizes microfibers to trap air and retain heat while maintaining an exceptionally bulk-free profile. 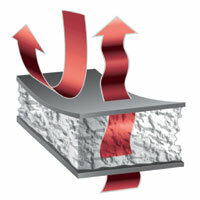 Traps more air in less space than any other insulation – even down. Quick-drying hydrophobic fibers absorb less than 1% of their weight in water. Freedom to Ride: Ariat's V3® technology utilizes an elastic "V" panel built into the back waistband to deliver superior stretch and recovery so breeches always have the right fit and performance. Maintains a close, comfortable fit during active riding. "V" panel has multi-directional stretch to accommodate riders' varying hip angles. Freedom to Move and Perform: Ariat's exclusive V3® stretch mesh panels deliver enhanced freedom of movement and maximum breathability. Ergonomically-placed elastic panels are built into the lining for full range of motion. Elastic mesh fabric allows for exceptional breathability and cool comfort. Protection from Light Weather: Ariat's water resistant fabrics offer windproof protection from light rain and mist. The lightweight surface blocks wind for protection. Water resistant coating offers durable protection from light rain. Complete Protection from the Elements: Ariat's waterproof/breathable technology utilizes fabric components to protect from the elements while providing breathable comfort. 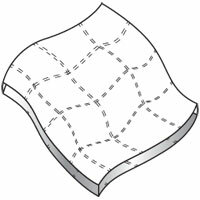 Waterproof fabric's microporous laminate blocks water molecules, but allows vapor to escape to provide protection and comfort. 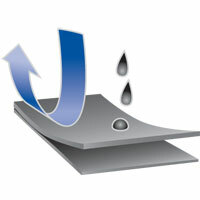 Face fabric is treated to repel wind and water for added protection.